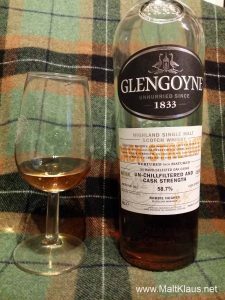 It’s been a while since I last reviewed a Glengoyne, so let’s take a look at this cask strength offering! The nose starts off in the typical, light Glengoyne style. Alcohol up front, but not too much, considering the strength! Citrus and fresh ginger meet noticeably spicy European oak casks, providing notes of baking spices – cinnamon, allspice, cloves – as well as dark cherries, cherry pipe tobacco, cracked cherry stones, marzipan, dark chocolate with orange bits, and a base layer of dark, dried fruits served on an oak platter with a match being lit nearby. The palate (neat) matches the nose. 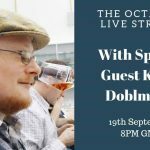 Light spirit meets good sherry casks in a good balance. Slightly alcoholic, as expected, dry-ish, yet mouth-coating. A bit more of the spent matches/sulphur than on the nose, but not too much. Malty sweetness is met by a nice layer of fresh oak and spices (the same as before – slightly spent cinnamon, allspice and cloves), dark chocolate, cherry-flavoured pipe tobacco, dried cherries and dried plums. 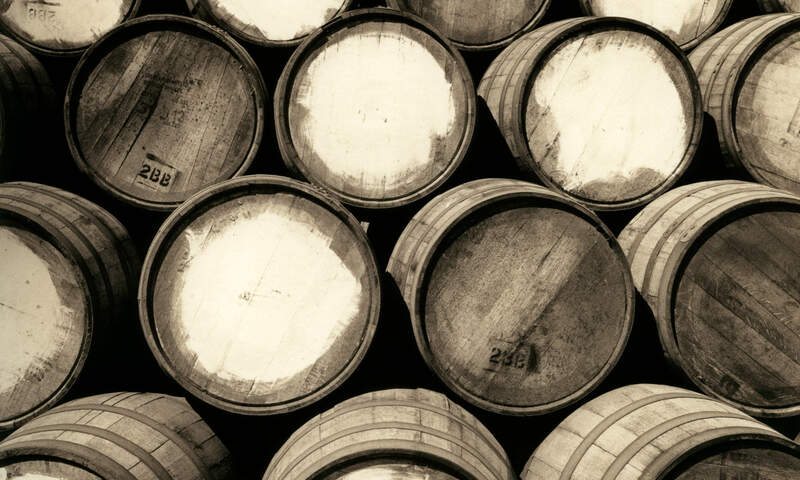 Adding a generous amount of water does tame the whisky considerably, creating a slightly mellower dram without losing much of its texture or style. The long finish is slightly nippy upon swallowing, on the dry side, but with quite a bit of fruity/malty sweetness and revealing the spicy European oak cask notes as well as a spent match towards the end. 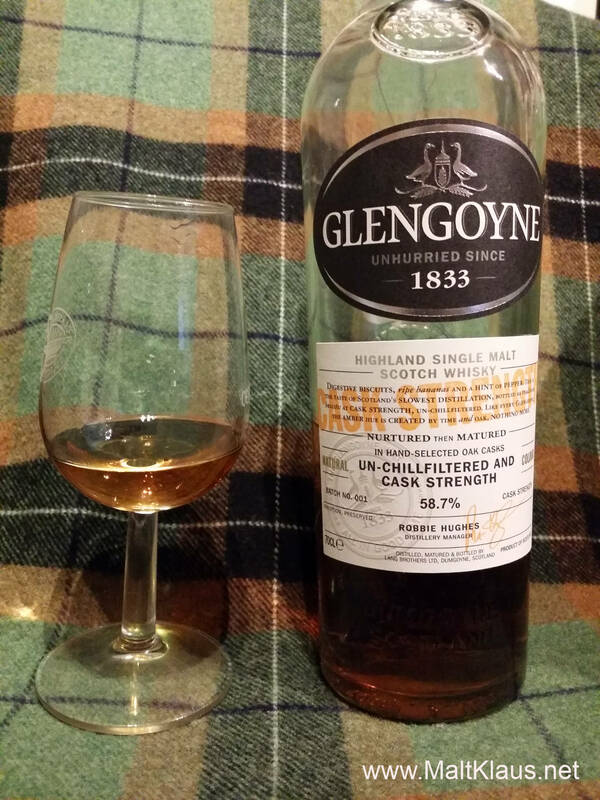 Despite carrying no age statement, this very enjoyable cask-strength Glengoyne doesn’t nose or feel too young or rushed, which is always a good sign. 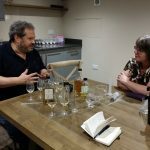 A light distillate meets good-quality ex-sherry casks (with European oak dominating the style) creating a powerful, not too dry and not too sweet whisky you can tune to your own preferences depending on the amount of water you add. 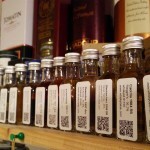 Batch one has been bottled a few years ago, so you will have to look out for it – or just try and see whether the current batches are just as good (Let me know in the comments! ).